The autoimmune disease Kawasaki disease primarily targets young children making it significantly important to be able to note early signs of the disease. Moving quickly, this syndrome can rapidly begin to cause damage within a child’s growing body and in rare cases result in a fatal coronary artery aneurysm. Being able to recognize the early signs of Kawasaki disease as they occur is an important step in being able to prevent this fatal development and increase the rate of recovery. In this article we will cover a number of the most recognizable symptoms of Kawasaki disease including: strawberry tongue, prolonged high fever, skin rash, swollen lymph nodes, peeling skin and inflammation. Kawasaki disease is a syndrome that affects young children – primarily those under the age of five. This autoimmune disease targets the mid-sized blood vessels within the body and causes them to become inflamed. In addition to inflaming blood vessels this syndrome also affects a number of other organs within the body including: mucous membranes, lymph nodes and skin. This syndrome is recognized by the medical community as being a necrotizing vasculitis due to the fact that it causes death of tissue. Kawasaki disease was first noted in 1967 by Dr Tomisaku Kawasaki of Japan after he noted a handful of cases characterized by the same set of symptoms. While this disease has been known to affect children of any race it is most prominently recognized in children of Asian descent (most commonly Japanese and Koreans.) The highest overall rate of prevalence for this disease is in Japan but more recently higher rates of diagnosis are also being found in the United States. The KD Foundation presents this twelve minute video which educates parents whose children have been diagnosed with Kawasaki Disease or Kawasaki Syndrome. It covers the disease and its symptoms, treatment and follow-up care. This video features Jane Burns, M.D. of Rady Chidren’s Hospital San Diego and Greg Curio, M.D. of Children’s Hospital and Research Center, Oakland. There is currently no vaccine available against Kawasaki disease so it is extremely important to be able to recognize symptoms before they set in and become too severe. Early recognition of symptoms in combination with early treatment is the key in greatly reducing the chances of death due to this disease. In rare cases the treatment used for Kawasaki disease (Intravenous immunoglobulin) can cause additional complications such as allergic reactions; however, it is crucial to know that the risk of dying from the disease itself is much higher than dying from the disease itself. One of the most commonly recognized signs of Kawasaki disease is the presence of a high fever. Unlike many other illnesses that are accompanied by fever, Kawasaki disease presents with a high grade fever (in this case high grade refers to a fever over 102 degrees Fahrenheit) that lasts for one to two weeks. 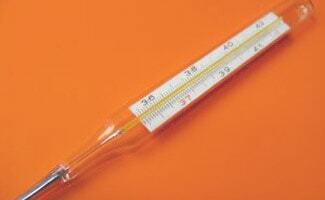 If the disease goes untreated the duration of this high fever can be as long as a month. Once treatment has begun to address this disease the fever should subside after a couple of days. An extended period of fever such as this will often result in children becoming easily aggravated and feeling tired and lethargic. As a symptom alone the high fever of Kawasaki disease can often be misinterpreted because a wide variety of childhood illnesses are accompanied by fever. One key factor that can give away Kawasaki’s by fever alone is the extended presence of the high grade fever but when it comes to the medical community multiple diagnostic criteria must be met in addition to the fever for a legitimate diagnosis to be made. Erythema is a medical term used to describe redness that occurs when the capillaries in the lower levels of the dermis experience increased blood flow. Erythema occurs naturally as the body requires increased blood flow to tissues; however, it can also occur as a result of vasodilation disorders like Kawasaki disease. In the case of Kawasaki disease erythema occurs in the lips of mouth and can also include cracking of the lips. For those unfamiliar with erythema, bleeding underneath the skin or purpura (red or purple spots under the skin that measure between 3 to 10 mm and result from bleeding under the skin) do not blanche when pressed where as erythema does. Some pathological causes of erythema include: exposure to ionizing radiation, Lyme disease, oleander poisoning and Kawasaki disease. On the other hand some of the causes of purpura that do not blanche when pressed include: typhus, meningitis, septicemia, medication induced vasculitis, platelet disorders and scurvy. Erythema often presents alongside cracked lips. Another symptom that is common with the presence of Kawasaki disease is a rash on the body. The rash that is present with this autoimmune disorder is found on the trunk and generally not on other areas of the body which can help to distinguish it from other types of rashes. Using a rash alone to diagnose Kawasaki’s disease in children can be difficult however, since children are prone to skin rashes in any number of common ailments and not so common diseases. The rash that appears with Kawasaki disease generally presents in the early stages of the disease and is described as being non-itchy and polymorphic. In most cases of Kawasaki disease the rash that appears is seen up to the fifth day of the fever that is characteristic of this autoimmune disorder. The rash commonly seen with Kawasaki disease can be referred to as exanthema. Exanthema can be seen in a handful of common childhood diseases which is why the presence of a rash and fever alone does not signal the presence of Kawasaki disease. Some diseases that commonly cause exanthema include: measles, rubella, erythema infectiosum as caused by the parvovirus, roseola infantum as caused by HHV-6 and HHV-7 and scarlet fever. Children affected by Kawasaki disease often also present with eye redness which results from either bilateral anterior uveitis, iritis or conjunctivitis. A diagnosis of Kawasaki disease cannot be made from red eyes and a fever alone however, since these symptoms are also characteristic of a number of other infections such as non-related conjunctivitis. Children affected by Kawasaki disease commonly present with a symptom termed “strawberry tongue.” Strawberry tongue occurs when the mucous membranes become inflamed. The tongue takes on a bright red strawberry color and swells. In addition to the change in color and size the tongue the papillae that cover the tongue (in addition to taste buds) become extremely prominent. The swelling of the tongue that occurs with this symptom of Kawasaki disease can be uncomfortable and impair speech. Children affected by Kawasaki disease often present with swollen lymph nodes even in the primary stages of the illness. Swelling in the lymph nodes should never be used as a single criterion when confirming a diagnosis of Kawasaki disease however, because swollen lymph nodes occur with a number of medical conditions including general infection. With this said, swollen lymph nodes can be one of the first signs of the onset of Kawasaki disease. Commonly peeling of the skin occurs with the appearance of Kawasaki disease, this peeling is not limited to the lips. Peeling can also be found on the palms of the hands, the soles of the feet and in the genital region. The type of peeling that becomes evident in Kawasaki disease is not the same as typical “peeling” that is evident with chapped lips or hands or similar to callused feet. In most cases this type of peeling does not become evident until later stages of the disease. Pain in the joints is another symptom of Kawasaki disease; however, like most of the symptoms when presented alone it is not always a sign of the disease setting in. Joint pain is referred to in the medical community as arthralgia and can be particularly painful for younger children. In rare instances arthritis can occur in the joints. While irritability is listed as a symptom of Kawasaki disease it is actually more of a symptom of the symptoms that come with the disease. Since this illness sets in most often with younger children the symptoms that do occur can be particularly painful and cause irritability. The most common factor in irritability for young children affected by Kawasaki disease is high fever. Diarrhea is commonly seen in children affected by Kawasaki disease and like fever it is important to have this symptom addressed as soon as possible. In young children diarrhea can quickly lead to dehydration which can cause a number of significant problems. Diarrhea can be indicative of any number of common childhood ailments; however, when seen in combination with other symptoms listed above Kawasaki disease should be suspected. Beau’s lines are deep grooves that appear across the fingernails. While many healthy fingernails have grooves and ridges that run from the base to the tip of the nail, Beau’s lines run from side to side. Beau’s lines are lines that are caused by actual indentations on the nail rather than changes in pigmentation of the nail bed which are referred to as Muehrcke’s lines. There are a number of causes for Beau’s lines and these can include various types of trauma or multiple illnesses such as diabetes, psoriasis and Kawasaki disease. Beau’s lines can also be caused by treatment with specific types of drugs such as those used in chemotherapy or those used to treat heart conditions (beta blockers.) It is also possible for a child suffering from malnutrition to have Beau’s lines on their nails. It should be noted here that malnutrition does not necessarily indicate a child that has not been fed regularly; rather it can indicate a child that is not being fed with appropriate nutritional guidelines in mind. The respiratory system is just one of the many bodily systems affected by Kawasaki disease and when it does become affected breathing can become difficult. Those suffering from Kawasaki’s disease describe the respiratory symptoms of the disease as being similar to the flu. One of the most difficult respiratory symptoms to cope with however, is atelectasis. Atelectasis occurs when the alveoli of the lungs are filled with fluid or have collapsed and as a result the normal gas exchanges that occur during breathing are impaired. Atelectasis can be seen in an x-ray and can be the result of a handful of medical conditions in addition to Kawasaki’s disease including: inhalation of a foreign body, tumor compression of the alveoli and pulmonary embolism. Difficulty breathing that is caused by any type of illness or disease can only be treated by directly treating the disease itself. In the case of Kawasaki disease the difficulty breathing will be remedied once the disease has been treated appropriately with intravenous immunoglobulin. Difficulty breathing can also be caused by a buildup of fluid around the lungs. These spaces around the lungs naturally have fluid in them; however, when pleural effusion sets in an excess of fluid builds up and restricts the lungs from expanding to full capacity. When the lungs are unable to fully expand individuals may feel tightness when trying to take a full breath or an inability to take a full breath. Pleural effusion is treated by treating the underlying cause; however, in many cases draining is necessary to remove the excess fluid from the lungs to allow normal breathing to resume. Any time that the term “meningitis” is mentioned panic begins to set in; however, there are multiple varieties of meningitis. In the case of Kawasaki disease when meningitis sets in it is “aseptic” or sterile. Aseptic meningitis is still a condition that should be treated with respect and addressed as soon as it presents; however it should not be confused with bacterial meningitis. Aseptic meningitis is not caused by pyogenic bacteria, rather the inflammation of the meninges around the brain is a result of viral or mycobacteria infection. Aseptic meningitis has a handful of causes which can include medication side effects, Lyme disease, mumps and Kawasaki disease. Sensoneural deafness results from the vestibulocochlear nerve, inner ear or central processing centers of the brain being affected by some type of infection or illness. This type of hearing loss can range from mild to complete hearing loss which results in a complete inability to understand speech which can result in increased frustration by the child affected. In the case of sensoneural deafness caused by Kawasaki disease is acquired rather than congenital, other acquired causes of sensoneural deafness include: meningitis, mumps, measles, syphilis, ototoxic drugs, food allergies and a meningioma. Sensoneural deafness as it presents with Kawasaki disease can be treated by treating the disease itself through the administration of intravenous immunoglobulin. Kawasaki disease can not only be the cause of cystitis but it can also cause urethritis (inflammation of the urethra), prostatitis (inflammation of the prostate), priapism (prolonged erection of the penile or clitoral tissue), interstitial nephritis (reduction of kidney function as the interstitium and tubules of the kidneys are affected by inflammation), orchitis (inflammation of the testes) and nephritic syndrome (a number of symptoms which affect the kidneys and the urinary tract and often result in bleeding.) All of these affects on the genitourinary systems result in a number of symptoms that can be attributed to a variety of illnesses; however, they should all be treated as soon as they are observed in addition to treatment for Kawasaki disease. If left untreated these symptoms of Kawasaki disease can result in kidney damage or even failure and severe infection that can be extremely difficult to treat. One of the most devastating series of symptoms that accompanies some cases of Kawasaki disease are the symptoms which affect the circulatory system. The majority of the circulatory system complications that arise from Kawasaki disease are a result of inflammation of blood vessels within the coronary system. As the arteries around the heart become inflamed there is an increased likelihood for coronary artery aneurysms which can quickly contribute to heart attacks even in young children. The longer that this disease progresses without proper treatment the higher the risk of developing circulatory complications from this disease are. It is approximated that around 10 to 20% of children with Kawasaki disease develop coronary artery aneurysms. Alongside rheumatic fever, Kawasaki disease is a leading cause of acquired heart disease in children within the United States. Once a plan of treatment has been started to address Kawasaki disease the chances of developing coronary symptoms is greatly reduced. Once coronary symptoms have begun to present however, it is crucial that treatment be started as soon as possible in order to prevent serious damage to the heart or surrounding coronary tissue. Just How Grim is Kawasaki’s Disease? With all of the symptoms listed above the possibility of developing Kawasaki disease can be something which concerns many parents who are concerned for their children’s wellbeing. While Kawasaki disease is something that is particularly serious, it is not something that is extremely common and only some 1% of those children affected die from this disease when it goes untreated for a significant period of time. In the United States the mortality rate for children diagnosed with Kawasaki Disease is even lower, coming in at .01%. Reading over some of the more serious symptoms of Kawasaki disease can be particularly daunting; however, it is possible for a child with Kawasaki disease to experience a rapid recovery. Many of the more significant symptoms of this disease can even be avoided when treatment is sought early enough in the development of the disease. For those patients who are not so lucky to have their disease caught early, rigorous monitoring of the heart through the use of an echocardiogram is necessary every couple of weeks in order to observe any involvement of the coronary system in the disease. Even following “recovery” it is important that affected individuals undergo a cardiac screening every year to two years. In some cases of Kawasaki disease even after successful treatment, the illness can return and require a second treatment. The key to avoiding severe complications in any incident of Kawasaki disease is to undergo treatment as early as possible in order to reduce the damage inflicted to major bodily systems and maintain healthy habits.